Learn how to protect your work, the dos and don’ts of social media and sharing content, and the proper way to collect customer information. Presented by Coblentz, Patch, Duffy & Bass LLP. Learn about occupational health and safety, and how you can protect your employees, your business, and keep workers comp premiums to a minimum. Join us on June 28th in celebrating Speakeasy’s 17th anniversary with rare beer tastings of 16+ offerings, local food, and live tunes. Plus proceeds benefit SFMade!Make your SFMade web profile shine! SFMade members, you can now login and add images, longer descriptions and social media links to your website profile. Email [email protected] for instructions. 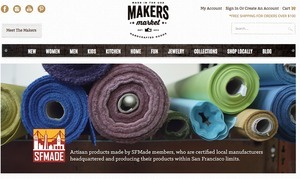 SFMade is partnering with Makers Market, a new online marketplace featuring the work of American makers. The site launched last week with thirty highly curated San Francisco artisans and a section just for SFMade members. Read more in the San Francisco Chronicle here and visit the site at: http://makersmarket.us. Find it, Love it, Buy it. 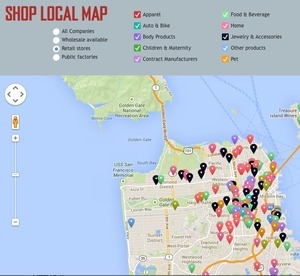 SFMade members have spruced up their profiles with pictures, social media links and maps. Search by better defined categories and keywords, and you can search by location for members with retail stores or public factories with this new map page. This beautiful, artisan-centric online marketplace just launched and there’s a growing section exclusively featuring SFMade products. Read more about Makers Market below. 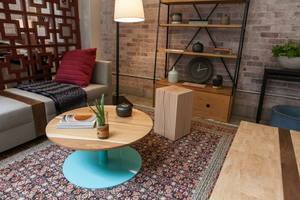 Did you miss the SFMade home and garden showcase at Ramp it Up! last month? No problem, you can see the sector’s products at their best with these gorgeous shots. And for workday distractions at regular intervals, there’s always Instagram, Pinterest, Facebook and Twitter. Aion LED is three for three! When the custom lighting fixture company was hiring they listed three open positions on the SFMade job board and filled all of them with our help, and with help from our workforce partners, Mission Hiring Hall and the Laney College Machine Technology and Industrial Maintenance Program. 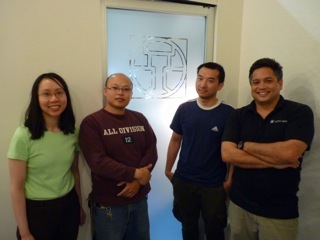 The new team members include Sunny, Electrical Assembler; Daniel, Bench Technician; and Yvette, Administrative Assistant. They’re all full time and learning the ropes quickly. “I studied welding and electronics, but I’ve learned new skills here like soldering, assembly, and measurement,” said Sunny. “Sunny, Yvette and Daniel are continuing to learn and be productive members of the team,” said partner Christine Ironfield. Product We Love: The key to summer entertaining? Keeping things toasty even when the sun goes down. 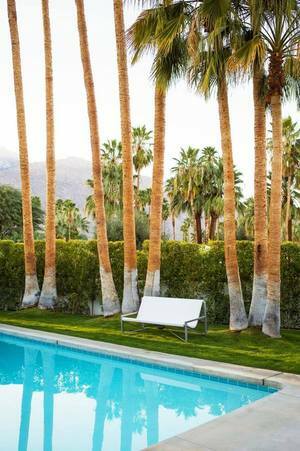 The brother and sister duo of Galanter & Jones have taken outdoor furniture to a whole new level with their sleek, handmade sofas, like the Evia pictured here.